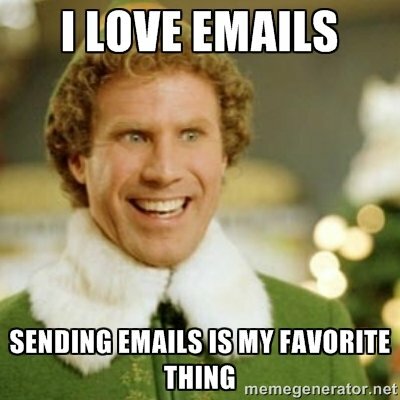 If you are interested in a step-by-step implementation of SPF, DKIM, and DMARC, there’s a post for that! It’s on this site as well and it will walk you through the entire process. 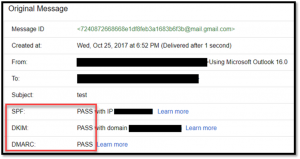 Before you jump into testing SPF, DKIM, or DMARC, you need to verify where your authoritative DNS nameservers are. The easiest way to do this is by going to a Linux command line and performing a whois. As you can see, the DNS servers for linuxincluded.com reside at Google Domains. 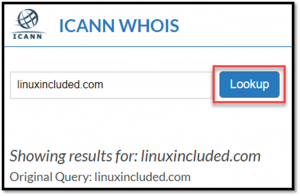 You can also use a website such as ICANN to determine the same information. It should provide the same information as what you found above. There are several ways to test whether SPF, DKIM, and DMARC are implemented properly. I prefer testing in multiple locations the first go around… It’s a nice way of double-checking your work and it can be a bit of a learning experience since all the testing tools provide a little different feedback. 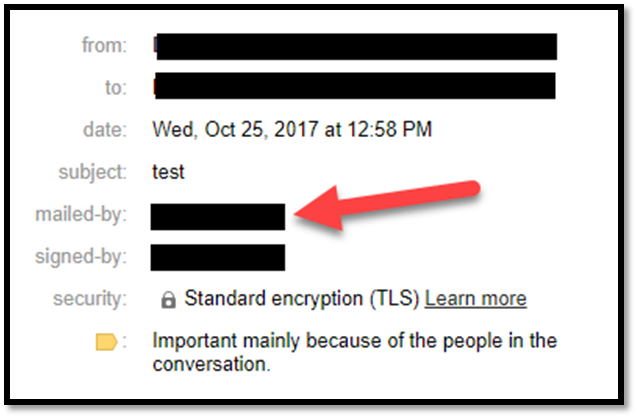 Gmail easily tests for SPF. Simply send an email from any address from the domain in question and click the dropdown under the sender’s name. 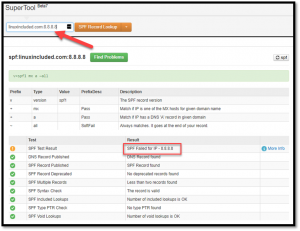 If there is a ‘mailed-by:’ followed by the domain name, SPF is working properly. 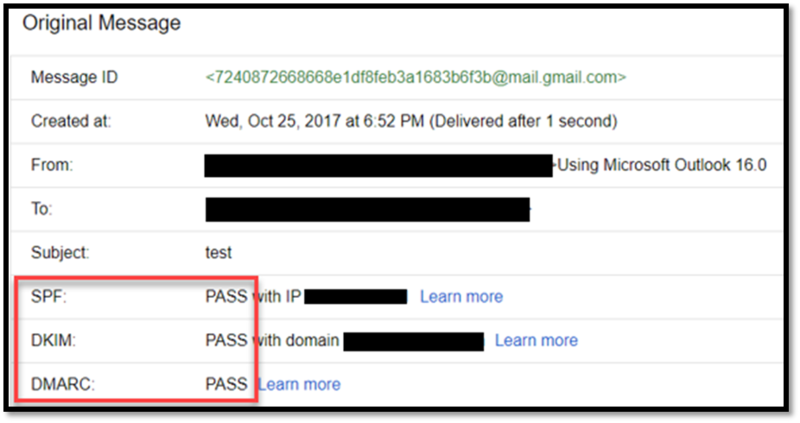 Gmail also easily tests for DKIM. 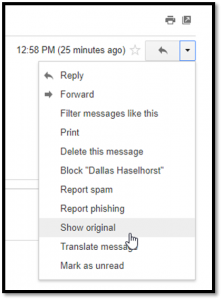 Once again, simply send an email from any address tied to the domain and click the dropdown under the sender’s name. If there is a ‘signed-by:’ followed by your domain name, the DKIM signature is configured properly. The “Show original” window will show the results for SPF, DKIM, and DMARC. 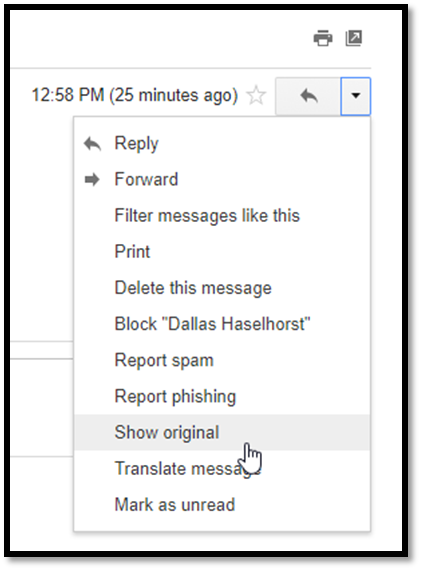 This method also shows the complete message so one can also scroll through the actual message to find information related to SPF, DKIM, and DMARC. There are numerous websites that allow for easily testing SPF, DKIM, and DMARC. A standard website referenced frequently is MX Toolbox and more specifically, https://mxtoolbox.com/NetworkTools.aspx (below). 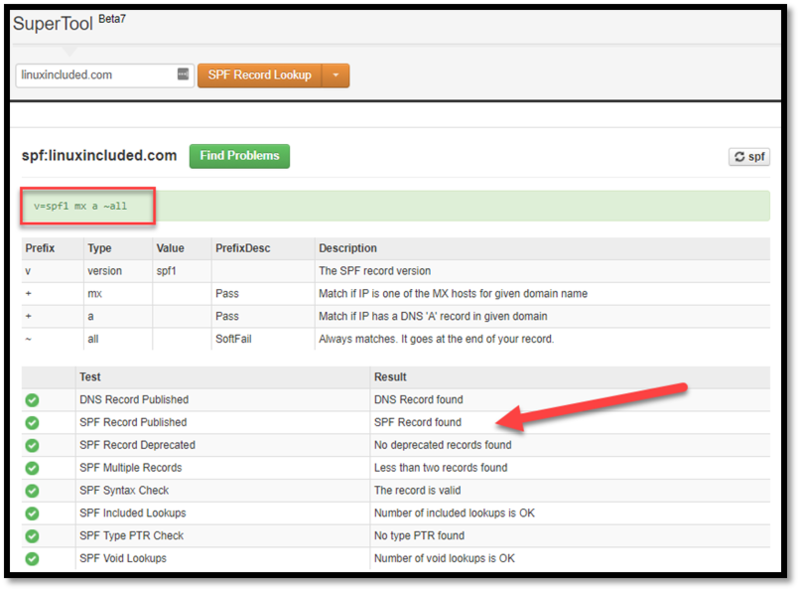 MX Toolbox can easily test whether a domain has an SPF record. 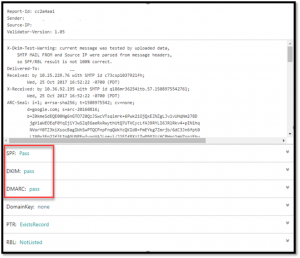 The same SPF test can also test whether an IP address or hostname is included in the enumerated lists. 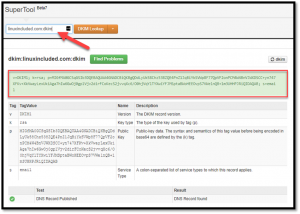 MX Toolbox can test the validity of DKIM records. 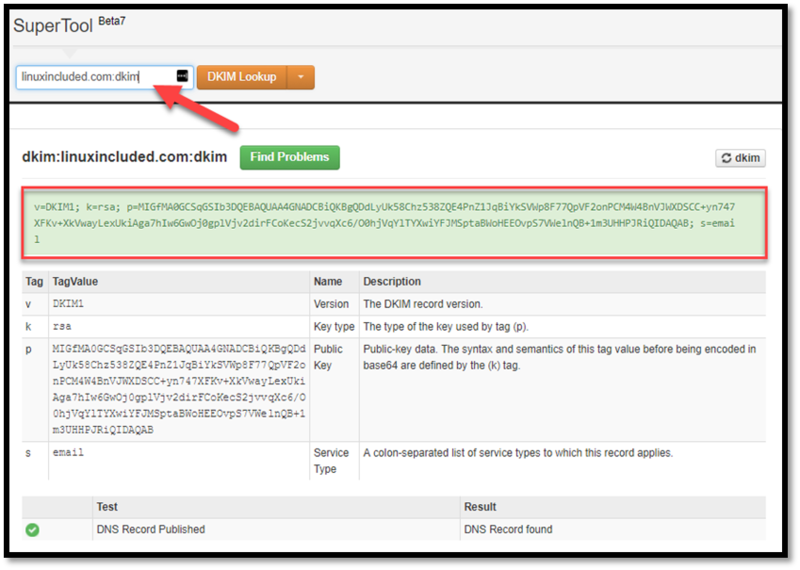 In the example below, the DNS is tested for a DKIM selector key of ‘dkim’. 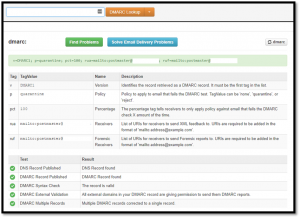 The site can also perform DMARC queries. The query below is for a ‘quarantine’ domain. Other websites such as http://www.appmaildev.com/ take a slightly different approach. 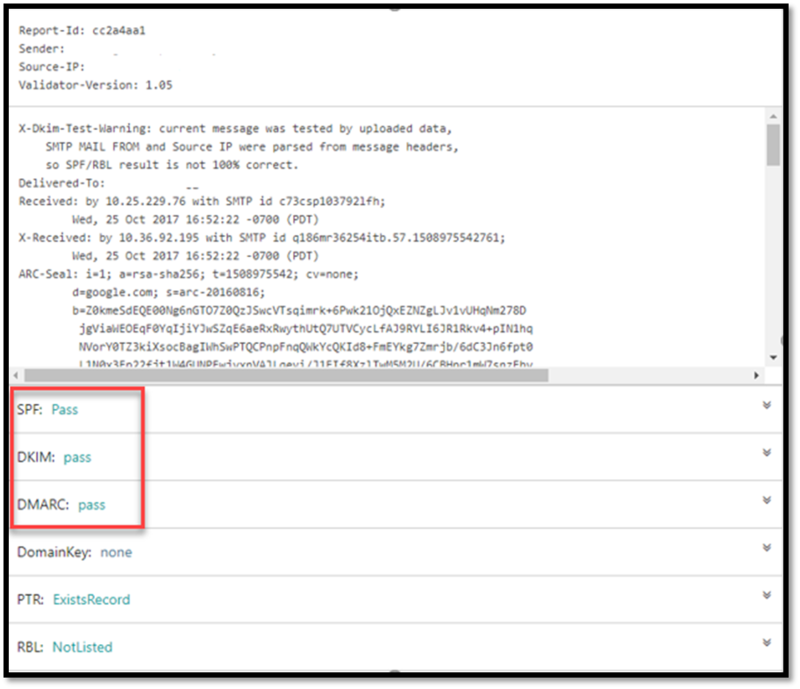 The appmaildev website has some interesting methods to test SPF and DKIM as it requests the tester send an email to a randomly generated appmaildev.com email address. Simply go to the link below and click ‘Next Step’ to see the randomly generated email address. 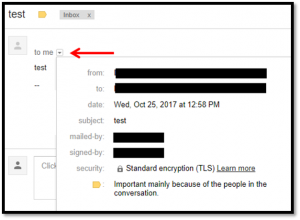 Alternatively, the tester can upload a full email (or eml format) and the website will generate the results for all three tests. 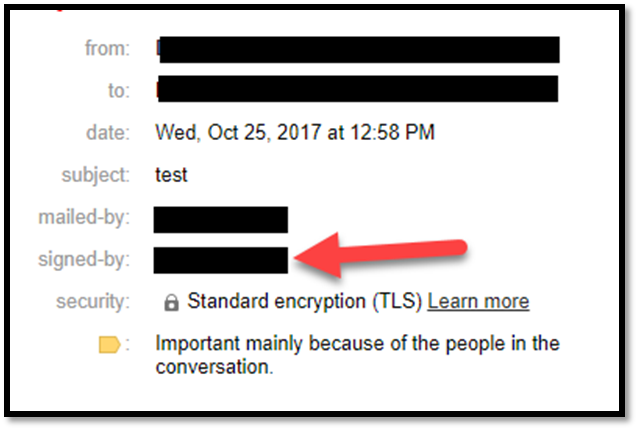 Note: You shouldn’t upload anything sensitive to begin with, but the website is not HTTPS. Another website with similar features to AppMailDev is EmailTooler. FWIW, it’s an email marketing site, however, they state they remove collected data 30 minutes after the submission and they do not store any data permanently. Tests can also be performed from the Linux command line. Unfortunately, the downside to the command line methods is that the tools do not test the records for correctness, e.g. 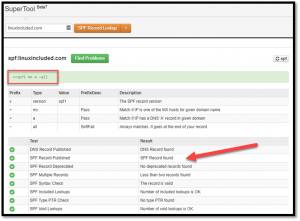 an SPF record may exist, but it may not be formatted correctly. linuxincluded.com. 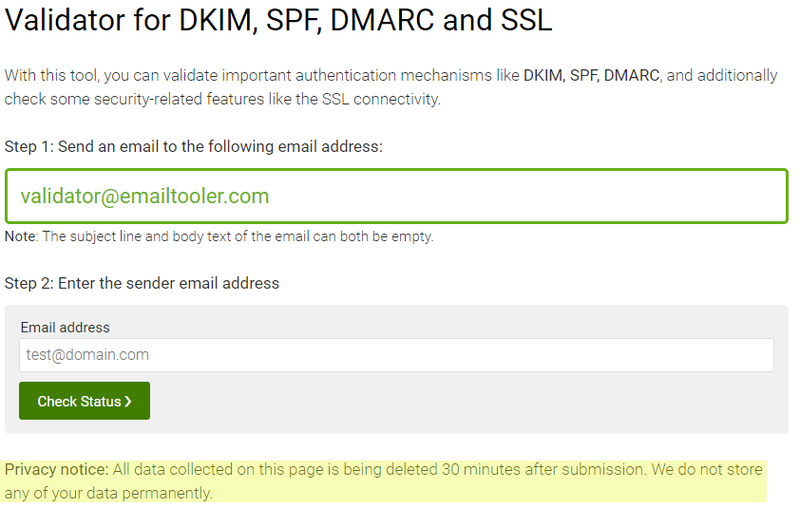 3600   IN        TXT     "v=spf1 +mx +a ~all"
For DKIM, the tester also needs to know the selector prefix. dkim._domainkey. 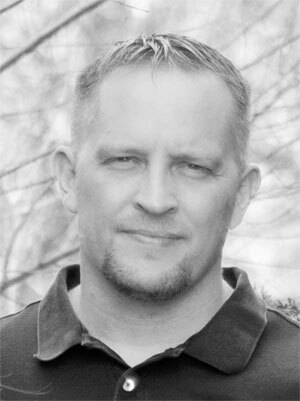 linuxincluded.com. 3600 IN TXT "v=DKIM1; k=rsa; p=MIIBIjANBgkqhkiG9w0BAQEFAAOCAQ8AMIIBCgKCAQEAg/Przq+HpH7IHVFjrqgRc5i+IzlokNuX37raN7h7TmPeCO2UuWRj/2kdFByb1H3Ex0pkE1F5RCe/ATL6XFQOceIfycjX2TGWj3RWksS7b67UhSNveyhW0xPFSlTvYYs+t3h4AZdxBCi9zvassuskRKGnFenZYdvmtv+P0WSWx/ANoLPTqtIcS6TDeq281Lral" "1nmghruKkOxhbYRfbGS8QTxOKQN+MsSHK/blRuv3WnQd0NydvTVlrzKB92tvTkncLW0oCtcYxfDNs6Ox9KI/UyNJay4bQvZOmTBNVSW4wr/1N5ykU6+KVp1hdBZCg+0eBUPuddiKO7zW5j2UdDGIQIDAQAB"
_dmarc. linuxincluded.com. 3600 IN           TXT     "v=DMARC1; p=none; rua=mailto:webbie@ linuxincluded.com;"
Keep in mind that SPF has a 10 lookup limitation and that includes nested lookups. For example, having _spf.google.com in your SPF record turns into 3 lookups which include _netblocks.google.com, _netblocks2.google.com, and _netblocks3.google.com. 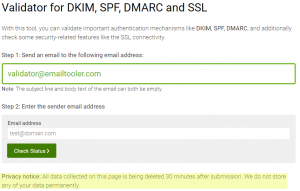 This limitation is discussed a little more in more depth here: https://www.linuxincluded.com/implementing-spf-dkim-and-dmarc/. One other site I don’t use for all of the tests, but is really handy in certain instances is is DMARC Analyzer. If you are hitting the 10 lookup SPF limitation, then I prefer to use DMARC Analyzer as it provides a really great visual representation of how the lookups work. It also shows how the nested lookups work, which is important because those count against that magical 10 lookup count too. 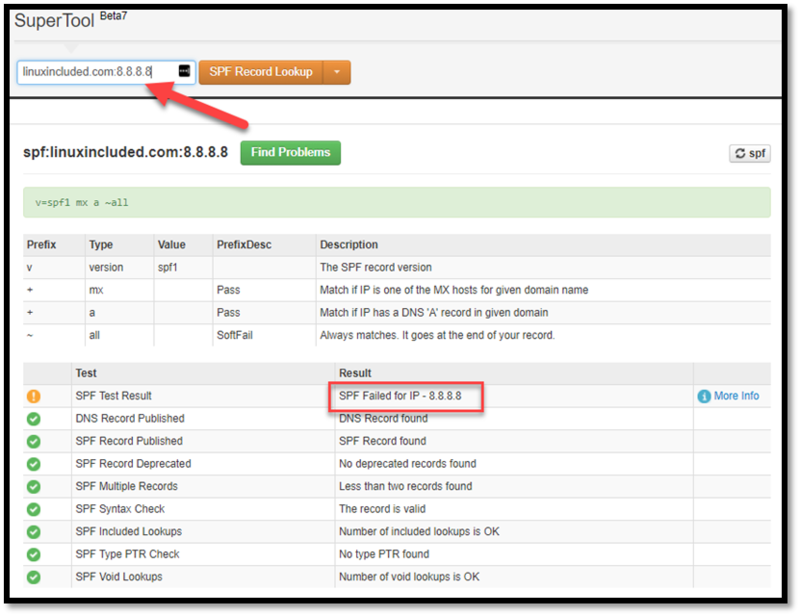 The DMARC Analyzer site also makes it far easier to determine how you might replace hostnames with IP addresses (or IP address ranges) to reduce the number of lookups. That’s it! It’s really not as bad as you thought, huh? Best of luck getting SPF, DKIM, and DMARC implemented in your environments! I use tools to validate the SPF and DKIM implementation. A good one is https://www.emailtooler.com/authentication-validator/. You just need to send an email to the given email address and you see the result live on the website. Very simple and helpful tool! Maybe you could link to the tool in the article. I’m sure, your readers would appreciate it. P.S. On the website appmaildev.com I could not find the tool you described in the article. They offer only a manual approach to validate DKIM, SPF etc. Thanks for stopping by! I clarified the test steps for appmaildev.com. I also added the site you specified after testing it. Thanks for the recommendation!